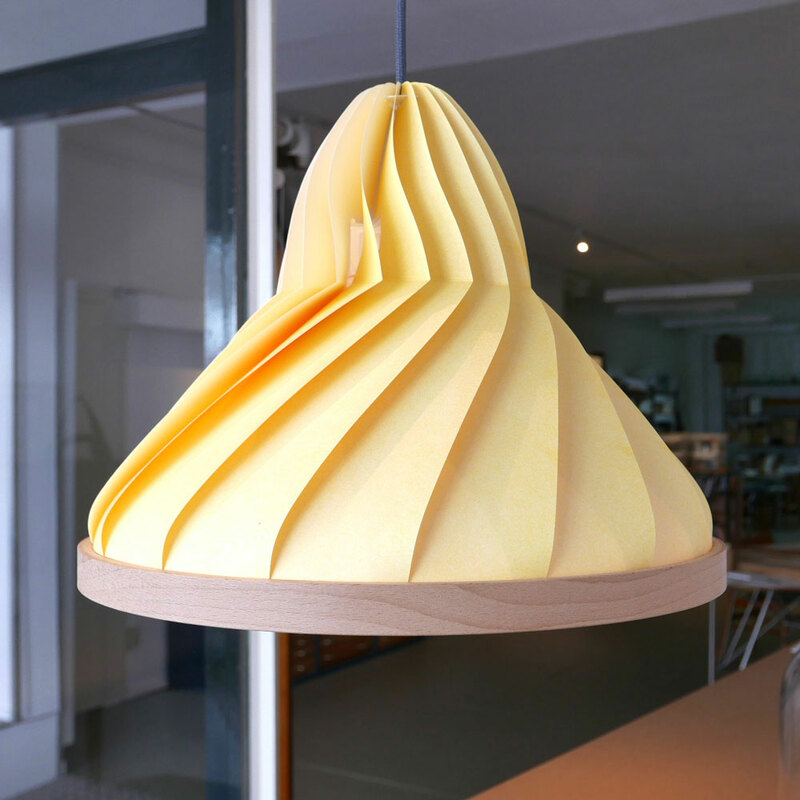 Studio Snowpuppe designs, makes and distributes inspirational lamps from paper and wood.The lamps are made by hand in small series. The folding patterns are based on the technique of origami. The creases are pressed in the paper with a machine. 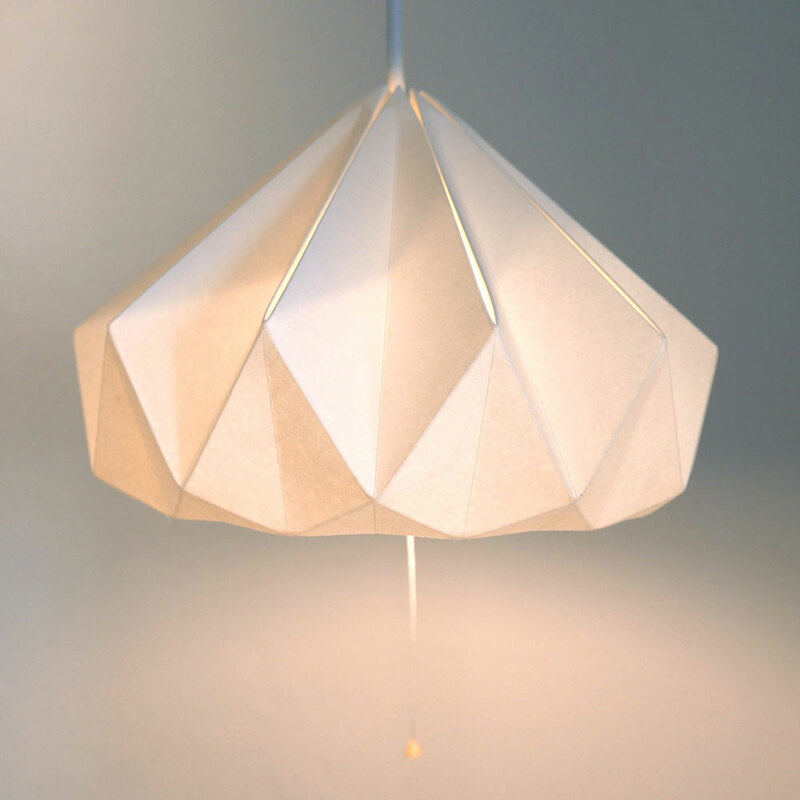 Afterwards every lamp is folded by hand with the highest possible precision. 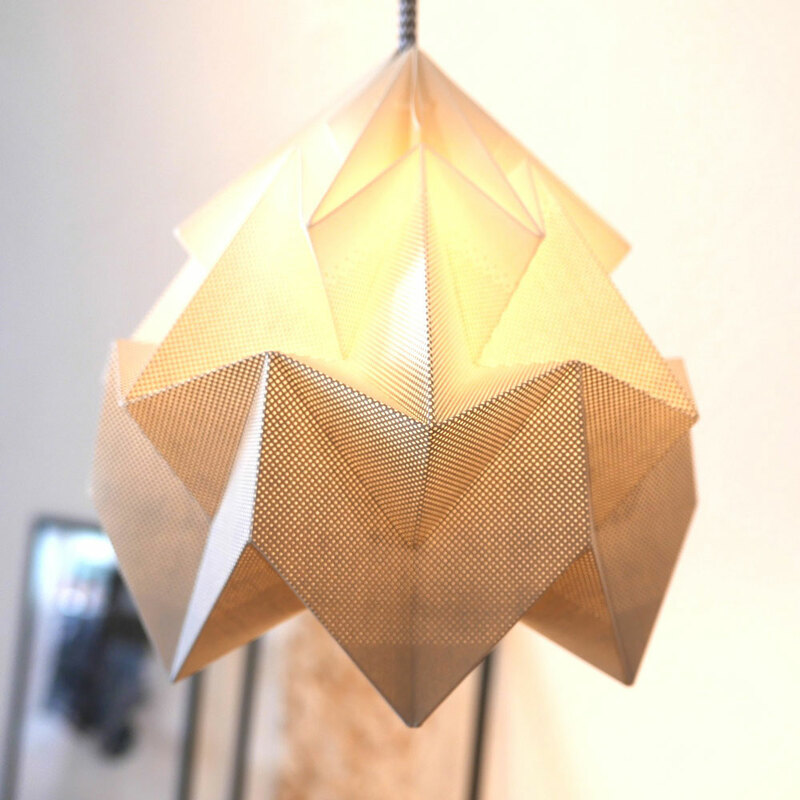 Using natural materials they try to design products that make the world a little more beautiful. 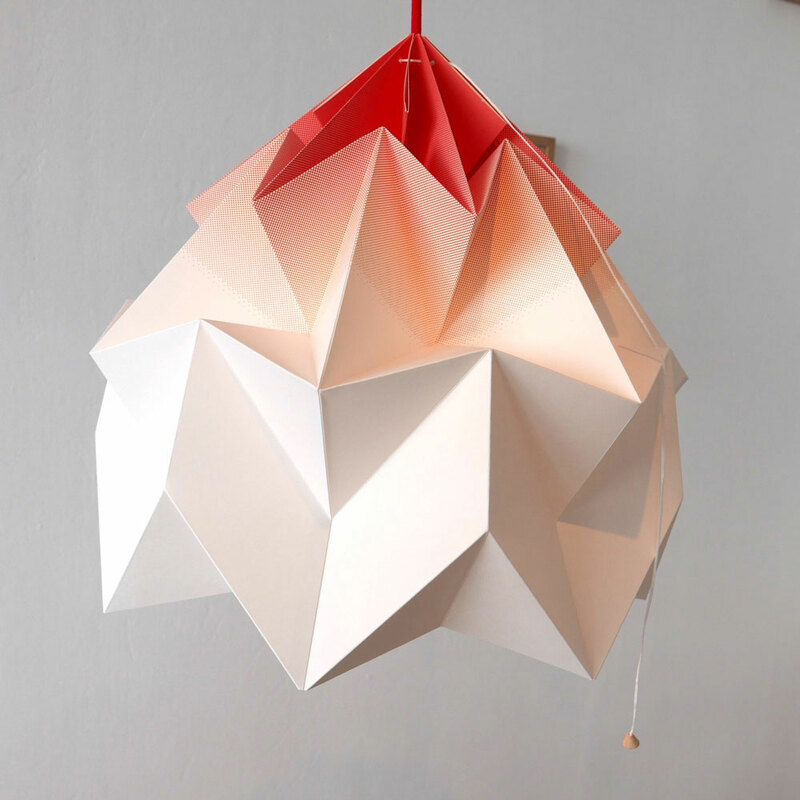 Paper filters the cold light of an energy saving light bulb into a cosy lamp for your home, that shines a warm natural light.